Garfield’s 2012 Spidey story, not so much. Yet Spider-man Homecoming is not a reboot, kind of. We don’t see the spider bite or him dealing with the body changes or the desire to fight crime. This movie is more of a sideways sequel to Captain America: Civil War, a fact made extremely clear in the first ten minutes of the movie. 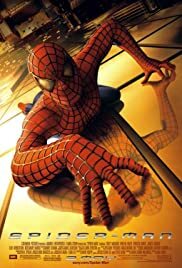 The film starts with Peter Parker recording a video diary of his part of the showdown in the Civil War movie, which features extra Tony Stark appearances and hilarious camera angles of during the airport fight in the Captain America movie. Despite being extremely “meh” about comic book films, I really liked this one. The Peter Parker character (played extremely well by Tom Holland) acts like a real teenager at 15. His basic troubles are being invisible to the school’s cute girl and psychological bulling from the local jerk. The psychological abuse is more believable to me since I remember that from high school a lot more than people getting into fights in the school halls (2002 movie reference). This film also brings in the sidekick best friend in a more believable manner. Even nerds and geeks usually have one bestie, yet previous movies did not use that friendship as well as this movie did. Also in Homecoming, Tony Stark steps in as a father figure and tech guy while his bodyguard, Happy, becomes the annoying babysitter archetype. As expected, Parker chafes under Stark’s imposed rules, trying to find his own identity as a superhero and his place in the Avengers organization. He stumbles into a confrontation with bad guys using uber-destructive weapons, barely surviving. The problem? The adults, i.e. Dad and the babysitter, don’t listen. What else could a junior crime fighter do but take justice into his own hands? Throughout the movie, the kid makes mistakes, which is understandable and hilarious. He also makes a lot of mature decisions that mark his character as one deserving to be elevated to superhero status. One important deviation from prior films was the lack of spidey-sense. Particularly in the Toby Maguire version, Parker had enhanced sense of what was going on all around him. A kind of slowing down time. It was one key to Spider-man’s success. In Spider-man Homecoming, this extra perception is never discussed and several scrapes he gets into implies he does not have it. Fun points of the movie revolve around Captain America who pops up in multiple cameo roles as encouragement films played by the coach when he didn’t want to teach. If you feel the Cap is as white bread and boring as a character can be, these films support that “come on kids! Let’s do some good!” over the top rah-rah in a fun way. Be sure to stay through the credits to the very last one, which is the most humorous one of all. This one is definitely worth checking out, particularly if you like comic book movies. I liked it and most certainly will buy it to go with the rest of the Avenger collection when it comes to Blu-ray.